An Organisation of Aboriginal people, for Aboriginal people, controlled by Aboriginal people. Unique opportunity to work with Aboriginal communities in a spectacular region! Outstanding base salary of $99,470 PLUS annual airfares! Accommodation allowance of up to $13,000! The Kimberley region is located in the northern part of Western Australia and covers about 421,000 square kilometres. 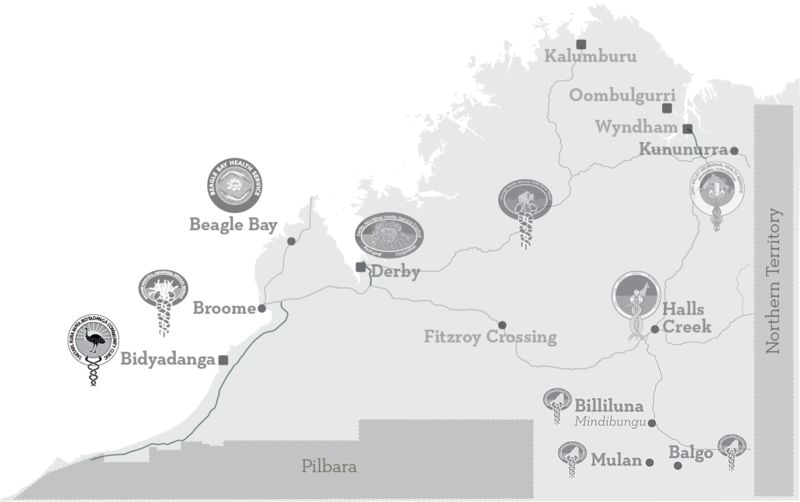 The Kimberley has only three towns with a population of more than 2,000 (Broome, Derby and Kununurra), and the total population is around 37,000. In addition to the sealed Route 1 which runs along the southern part of the area, the unsealed Gibb River Road runs through the heart of the region from Derby to the highway near Kununurra. Access to much of the region is by dirt road, air or sea. KAMS now has an opportunity for a Child Health Nurse to join their friendly, multidisciplinary team in Broome, WA, on a full-time basis. In this role, you will be primarily responsible for the coordination and delivery of Child Health Services in the Bidyadanga and Beagle Bay communities. Using local evidence to identify and collate topics that require further investigation by research. The ideal candidate will be a Registered Nurse, who is registered with AHPRA and has Post Graduate qualifications in Child Health. You will also have demonstrated leadership in the planning, provision, management, and evaluation of maternal and child health services in a Primary Health Care setting. To be successful in this role, it is essential that you have an understanding of the issues affecting the health and wellbeing of Aboriginal and/or Torres Strait Islander people living in the Kimberley region. Candidates will also need to have experience in developing, implementing, and evaluating community-based health promotion programs and health promotion resources for use in cross-cultural settings. KAMS is looking for someone who holds a commitment to the principals of an Aboriginal community controlled health service, along with the ability to work both autonomously and as part of a multidisciplinary team. A high level of integrity and a dedication to maintaining patient confidentiality will ensure you flourish in this position. You will have the ability to effectively communicate with, and conduct in-service, training and education settings to a range of audiences including health professionals, community organisations and community members. You will also have previous experience using electronic patient information recall systems and databases within the primary health care setting. Due to the nature of this role, a current driver’s licence with the capacity to drive manual vehicles and 4WD is required. Additionally, you will need to be able to travel by light aircraft when required. Please note: It is a requirement that successful candidates hold a current Working With Children Check, and be willing to undergo a National Police Check prior to employment with KAMS. KAMS is an organisation that truly values its team, and is committed to improving employee knowledge, skills and experience. In addition, staff development programs are not only encouraged but are often paid for by KAMS. This role is a highly attractive opportunity for someone with a desire to develop their professional knowledge and experience in the area of Aboriginal and Torres Strait Islander health! Please note: People of Aboriginal and Torres Strait Islander descent are strongly encouraged to apply. This is an excellent opportunity to develop your skills, advance your career and enhance your cultural knowledge in stunning outback locations. Make a positive difference — Apply Now! Have you had any prior experience in providing healthcare to rural/remote areas, specifically Aboriginal communities? Please give details. When would you be available to commence employment with Kimberley Aboriginal Medical Services? Your IP address (18.234.111.56) has been logged. 1082 Hits. Please fill out you Personal Details below.